Could Neil Lennon be a contender for next Newcastle United manager? Words by Kevin Doocey on May 7, 2014 . While Newcastle United prepare for their daunting trip to Anfield on Sunday, it is well reported that Mike Ashley will sit down with current manager Alan Pardew and thrash out details of how the 2013⁄14 Premier League campaign unfolded. Many of the reputable news outlets are insistent that Pardew’s future will be under major review when this meeting takes place, and that more than likely he could relieved of his duties as manager. With that in mind - and it is fair to say almost all Newcastle fans would like to see a new boss, it is worth considering the potential replacements. While David Moyes, Frank de Boer (wishful thinking), Tony Pulis (hopefully not), Steve Bruce, and Michael Laudrup have all been mentioned as possibilities for the role, I want to take a look at a man who has not really been associated with the Magpies. Neil Lennon - What would he bring? It can often be easy to diss Neil Lennon’s achievements with Celtic in the SPL, but not only has the Irishman achieved multiple successes in the league and domestic competitions, he has also been responsible for some of the most memorable nights in recent times at Celtic Park. A stunning victory over a Lionel Messi equipped Barcelona is just one example of a European success Lennon has tasted, and it is worth remembering that the Scottish outfit were seconds away from earning a point at the Nou Camp in the first fixture, only for a Jordi Alba last-gasp winner to seal a win for the hosts. Such a fine Champions League campaign resulted in Celtic progressing from the group stages and ultimately falling to Juventus in the next stage, although the Hoops did not digrace themselves in either leg, instead were rather unlucky to have the scoreline reflect a quite even tie. In summary - Lennon has shown his credentials in Europe as well as domestically, so he is no stranger to pressured environments or high-stake games. A realistic contender for next Newcastle manager? As the caption of this article states, one would expect Lennon to look for a new challenge in the near future. He has won everything to speak of in Scotland and cannot achieve much more with the Bhoys. If he was to be considered as next Newcastle manager, he would represent someone who I believe could make a seamless transition. He is used to working under financial restrictions at Celtic and has been often forced to sell his best players with Victor Wanyama and Gary Hooper just two examples of such cases. Realistically he would have more money to work with on Tyneside and could probably attract a higher quality of player, maybe he would even look to bring a couple from Celtic (Fraser Forster, van Dijk). In that regard - Lennon would have no problem with the working restrictions at the Toon. Lennon is renowned for signing low-profile, high potential young players - sound familiar? Often he is forced to sell them once they do make a name for themselves, but the principle is to sign cheap players with big potential. Usually these players are brought in from abroad so Lennon could obviously work well with Graham Carr in sourcing new talent from across the shores. Conclusion - the man to take NUFC forward? It is worth mentioning that Lennon is settled in Scotland and has made no noises about a move away from his boyhood club however, you would feel that if an offer came along from a reputable Premier League club then he might consider. As well as that - Newcastle are no ordinary club and bear some resemblance to Celtic. Phenomenal fans, unrelenting thirst for success, etc. Could Neil Lennon be the unlikely candidate to succeed Alan Pardew and restore some pride to this great football club? Comments welcome as always, and a shout-out to reader davidj who gave us the suggestion. Make sure to follow me on Twitter @KevinDoocey and like our Facebook page! 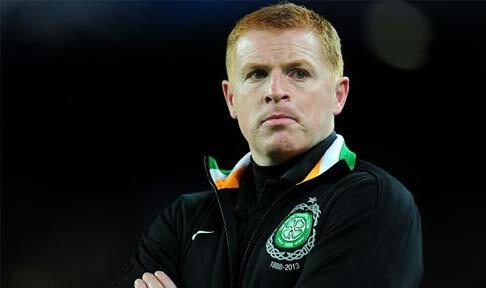 Neil Lennon would be a great appointment though sadly he wouldn't would be made welcome. The first sensible Newcastle blog I have read, and by sensible I mean not anti-Celtic. Neil Lennon would be a great manager for you, but I agree with Jake... I doubt he would be welcome by the majority and that's pretty unfair for someone who actually is a very good manager. Don't let our transfer policy fool you(Celtics)... While we have sold on two or three players for vast amounts, we have signed a lot of duds over the past year too. It's a calculated guess and doesn't come off every time. Newcastle already has good scouts in place. you guys need to get rid of Alan Pardew... That's the first step, then you'll be back up challenging for Europe. He doesn't have a clue!! Alan Shearer would be over the moon. Got to left bygones be bygones, right?! Maybe he'd even bring Shearer in as his assistant, he'd be good at giving the players that extra 'kick'! Wouldn't he actually want to WIN things, though? I'm pretty sure he would. And he'd probably react quite badly if his best players were sold out from under him in the middle of a promising season. I think that probably rules him out right there. Who'll be our next manager under Ashley? I think we need to look amongst the spineless, toe-touching desperados looking to get back into football management. That's where Ashley/Charnley will be recruiting.